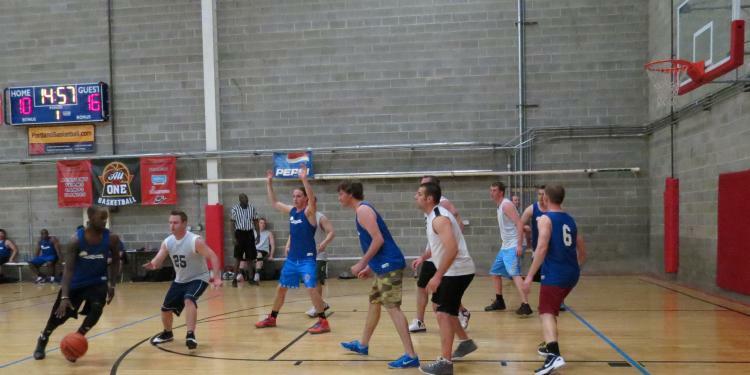 JE Dunnkin' it on the courts in Portland! In the spirit of community, fitness and teamwork, Mark Pedersen, Project Engineer, organized a JE Dunn manned city league basketball team aptly named JE Dunnk. The team that has been running around the office managing one of the largest design-build projects in Oregon is the same team that has been running the courts at night. With such a fun team, every JE Dunnk game counts as a win!